Upload apps to the test management center. Select devices and testing times. Get bug report. View detailed analysis. Define your individual crowd, assign tasks, communicate, receive reports. Your personal crowd will send you detailed reports on the bugs they find, using a documentation process with dedicated structures and numerous options. The analysis report organizes everything clearly and logically. A fantastic, highly-configurable interface puts the best testers in the world at your fingertips whenever you need them. Seamless integrations into your own development systems. What else do you need? 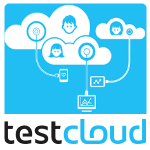 Your personal QA account manager is there to help get your continuous testing running smoothly.